Former President Barack Obama has said that his restraint in not bombing Syria "required the most political courage." He made the comment in an interview with John F. Kennedy's grandson, Jack Schlossberg, last week around the time he received the John F. Kennedy Profiles in Courage Award. 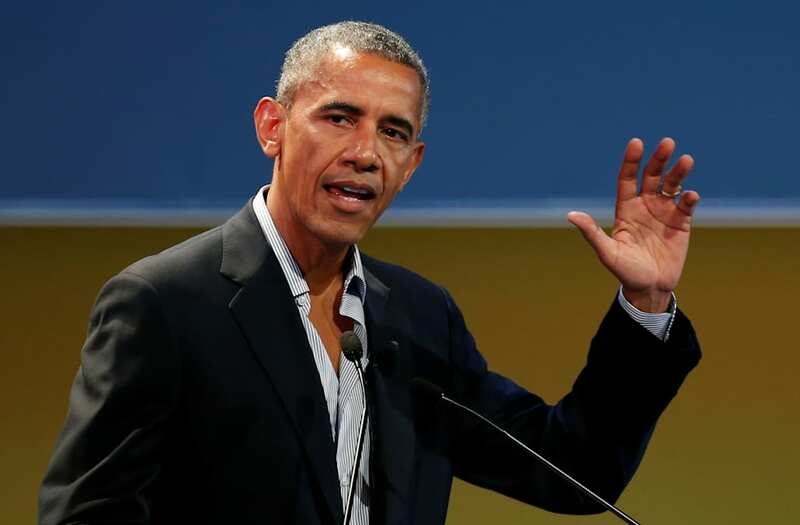 According to a transcript of the conversation posted by Schlossberg on Monday, Obama was asked which issues during his presidency required the most courage. After mentioning the difficulty of sending U.S. troops into battle, the former president said, "I actually think that the issue that required the most political courage was the decision not to bomb Syria after the chemical weapons use had been publicized and rather to negotiate them removing chemical weapons from Syria." He added, "The reason it was hard was because, as president, what you discover is that you generally get praised for taking military action, and you're often criticized for not doing so." According to an April 2016 profile by The Atlantic, Obama's reluctance to act on Syria "frustrated...his national-security team [that] had a preference for action." His declaration of a red line on Syrian President Bashar al-Assad's use of chemical weapons was tested when the Syrian people were reportedly gassed by the regime in August 2013. However, Obama is said to have ultimately decided against a strike because of the nation's previous engagements in the Middle East and concerns that missiles could harm more civilians. Nevertheless, he did admit in a Vanity Fair interview last November that "the situation in Syria...haunts me constantly."